✓ Prevents nutritional deficiencies and helps fight infections. To be added and mixed to a meal, after cooking. For children from 5 years of age. → The product is a supplement to the usual diet and is adapted to home fortification for people who are likely to develop micronutrient deficiencies due to a daily diet which is not diversified. QBmix® has been designed for people who, due to daily food ration lacking in diversity, are at risk of developing deficiencies in micronutrients which are essential for their health. QBmix® prevents nutritional deficiencies, particularly in vitamins and minerals in adults or/and within the family unit. QBmix® is a highly concentrated vitamin and mineral paste, with a flavor that masks the metallic taste of certain minerals present in large proportions. QBmix® can be used as a condiment. It is essential that QBmix® be added after the family meal is cooked, to protect the heat-sensitive vitamins. A diversified diet is the best way to prevent any risk of nutritional deficiency. Deficiencies in micronutrients occur notably when the daily diet is monotonous and contains few different foods. However, in certain circumstances, getting a well-balanced diet is difficult, and even if the available foods bring enough energy, they do not cover the needs in some essential micronutrients. In these contexts, a nutritional supplement such as QBmix® may be the way that suits the best to bring these essential elements. QBmix® compensates for nutritional deficiencies, for example, in vitamin C – which is the cause of scurvy – and in niacin (vitamin B3) – which is the cause of pellagra. It is suitable for situations where it is not possible to ensure a varied, balanced diet, particularly in emergency situations (large-scale population movements, etc.). 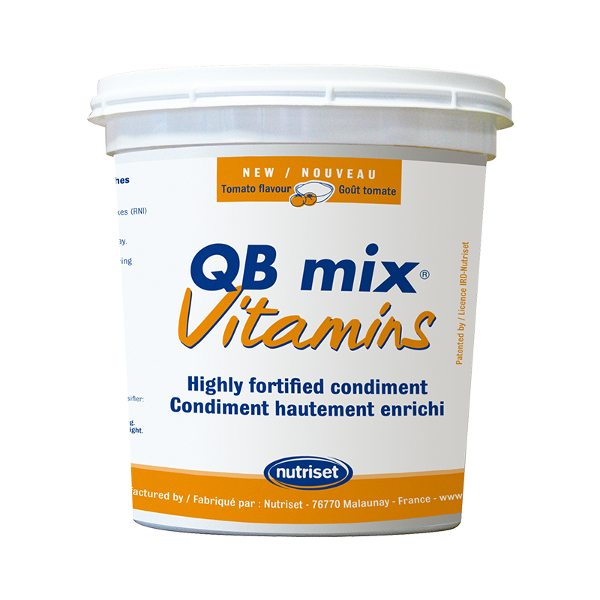 QBmix® is not a substitute for a varied and nutritious diet.